Reconnecting the spiritual with classical music might seem a controversial issue in an era of cultural pluralism, yet the hunger to unearth the spiritual has seeped into some of Europe´s leading festivals. 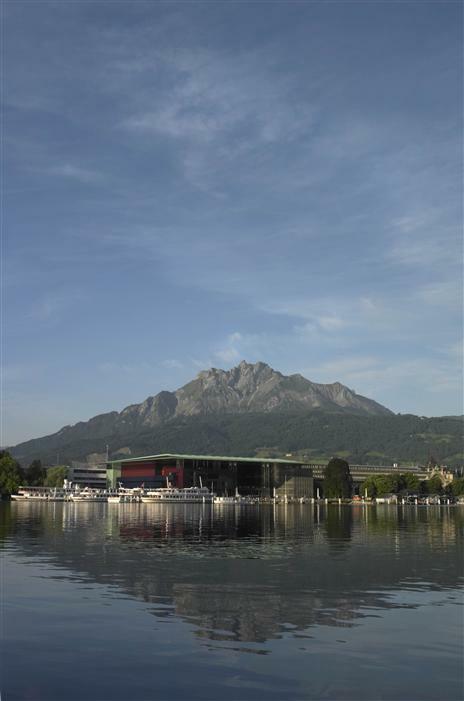 As Jim Oestreich reported earlier this season in The New York Times, a wave of religiosity has spread from Lincoln Center´s White Lights Festival, now in its third season, to both Salzburg and Luzern. 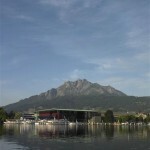 In what may be interpreted as an increased awareness of social responsibility, both picture-perfect cities have devoted attention to Judeo-Christian tradition and the ramifications of Holocaust—although Luzern was in fact founded as a non-fascist alternative to Bayreuth and Salzburg in Nazi times, bringing in composers such as Toscanini and Bruno Walter. While Luzern´s Easter Festival has already established itself as a sanctuary of religious music, the summer edition (August 8-September 15) hopes to explore the theme more deeply and thereby further integrate itself into the social fabric, as Intendant Michael Haeflinger explains in an interview with the festival magazine Più. A production of Schönberg´s biblical opera Moses and Aron was mounted in direct collaboration with a local church, while Lutheranism, Buddism and Islamic mysticism briefly received their due. Programming around the theme of faith of course provides a wealth of dramaturgical possibilities. Maris Jansons and the Royal Concertgebouw Orchestra Amsterdam appeared in a program of Schönberg, Stravinsky, Barber and Varèse, as much a spiritual as geographic journey that had already travelled to the Salzburg Festival. The detached recitation of the speaker (Sergei Leiferkus) against the shrieking brass and raw strings of A Survivor from Warsaw, which Schönberg wrote in American exile upon hearing about the horrors of the Holocaust, ceded to Stravinsky´s austerely meditative yet playfully neo-classical Symphonie de Psaumes. The final chorus, which the composer described as a “calm of praise,” remained firmly trapped in the heavens against the ethereal dissonances of the orchestra, a choir of survivors singing down in the aftermath of destruction. The CBSO chorus, trained by Simon Halsey, dispatched its role in fine form. The spirit of reconciliation found more worldly expression in the Adagio for Strings, which managed to escape its hackneyed identity in the context of this concert. Jansons coaxed the full-bodied strings of his orchestra into sensuous, sighing phrases. Closing the program was Amériques, a vast landscape of musical possibilities for which Varèse found inspiration from the window of his Upper West Side apartment shortly after leaving Europe. Siren-like brass, anxious, insistent winds, pounding percussion and metallic bursts into post-modernity capture both the harshness and chaos the composer must have sensed as well as his affection for this open-ended, untameable future. The Concertgebouw musicians played with combustible energy. Mahler´s Resurrection Symphony, performed by Andris Nelsons—Luzern´s Artiste étoile this summer—and his City of Birmingham Symphony Orchestra was also amenable to the program´s goals, the music´s spiritual ambiguity retaining a powerful hold on the modern psyche. As program notes by Susanne Stähr point out, Mahler hadn´t yet converted to Catholicism when he wrote his Second Symphony. His bombastic affirmation of faith in an afterlife, replete with Wagnerian undertones, does not entirely mask the composer´s extreme ambivalence toward abandoning his Jewish roots in order to ensure more professional mobility: “Cease from trembling! Prepare thyself to live,” sings the chorus in the final movement. Nelson led the orchestra and the CBSO chorus with a clear sense of the music´s architecture, mastering sweeping phrases in visceral connection with the musicians, yet a sense of irony could have been more present in the Klezmer-like melodies of the third movement and quotes from the Knaben Wunderhorn song cycle. The performances of soloists Lucy Crowe and Mihoko Fujimura also verged on the melodramatic despite their polished execution. Much as Mahler could not avoid undertaking a highly spiritually quest in his music, not least by subverting classical form with his free integration of popular melodies, Composer-in-Residence Sofia Gubaidulina, whose 80th birthday was celebrated internationally last year, considers writing music not a secular act but “a form of worship,” as she says in a statement. She has also testified in interview that music provided an escape from the politics of the former Soviet Union. Nelsons conducted fellow Latvian violinist Baiba Skride and the City of Birmingham Symphony the following evening in the Russian-Tartar composer´s First Violin Concerto Offertorium, an approximately 35-minute work which opens with the main theme of Bach´s Musical Offering, only to be stripped down and built back note by note. The violin remains trapped in its own quest to win back spiritual direction, as it were, against an orchestra ridden by uncertainty. Skride played with humility and elegance throughout high-pitched harmonics and ethereal sketches, while the Birmingham players remained strong and on point under Nelsons. The notion of faith took on a directly political connotation with Shostakovich´s Leningrad Symphony, who famously thematicizes the German occupation of the Russian city in 1941, completed after the composer fled to Moscow. An ironically jovial theme marches on with a nearly farcical stride in the opening movement, while unusually simple harmonies quietly convey resignation and nostalgia before yielding to a tortured, C-major victory. Nelson led the orchestra in a clean, sincere performance that could have nevertheless brooded more under the surface. This entry was posted on Friday, September 7th, 2012 at 1:22 pm	and is filed under Berlin Times. You can follow any responses to this entry through the RSS 2.0 feed. Both comments and pings are currently closed.